Clad in dark blue uniforms, a group of seven school children, all aged above 12 years, restlessly jostle for space in an auto rickshaw on Velachery Main Road near Tambaram. While three children sit on the side bars of the auto, two of them sit next to the driver, holding on for dear life to the already crowded seat. Heavy school bags and lunch boxes are also stuffed in the same vehicle. This scene is not uncommon during school hours on our busy city roads. The risk to life and limb that these children face every day is either unknown to or ignored by parents, schools and transport department officials. The transport department of the Tamil Nadu government had beefed up monitoring of school buses in the wake of the death of a six-year-old girl in 2012. The girl had fallen down a hole in the floor of her school bus, and was run over by the rear wheels of the vehicle. After much-needed hue and cry, the Madras High Court, three years ago, issued guidelines for ferrying children to school. However, these are far from implemented. According to the guidelines, an auto rickshaw can carry only three children above the age of 12. The count should not exceed five, if the children are below 12 years. A significant point in this context is that the Regional Transport Office (RTO) was directed to cancel the licenses of erring auto drivers who violate the guidelines. 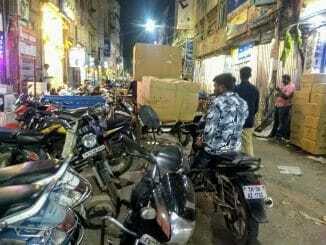 However, despite visual evidence of violations across the city, sources from the Regional Transport Office in Anna Nagar and Guindy say that no licenses were cancelled in the past four months. The level of awareness on the guidelines is low among auto drivers. Seven auto drivers with whom Citizen Matters spoke, were oblivious of what the guidelines were, and only three of them even knew these existed. “I take the routes that are not manned by the traffic police. I can get away with the offence after bribing the police,” said an auto driver who is a member of the Tamil Nadu Auto Members Association. Carrying capacity of an auto is limited to its permitted seating capacity if the children are above 12 years old, and one and half times the permitted seating capacity if they are below 12 years, as per a Supreme Court directive in 2013. According to the Tamil Nadu Motor Vehicles Rules, 1989, the driver of the transport vehicle shall not cause or allow any person, animal or thing to be placed or to be in the space reserved for the driver’s seat, as it impedes the driver from having a clear vision of the road or proper control of the vehicle. The 1989 Act also gives a mandate about the seat in an auto rickshaw. In every auto rickshaw with seating capacity for three passengers, the seat length should be not more than 120 cm and not less than 115 cm. 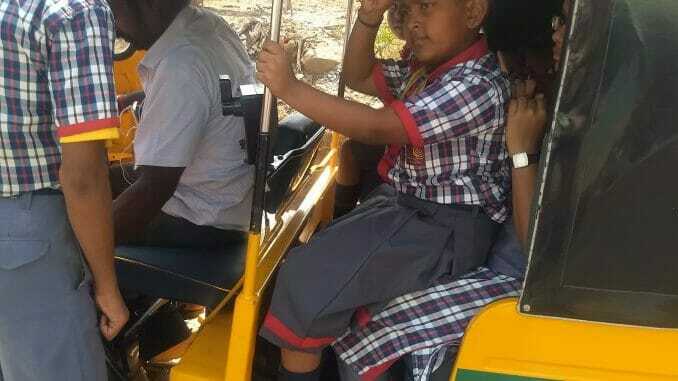 In every auto rickshaw that ferries children, a guardrail with suitable padding shall be fitted on the side of exit, so that the passengers can lift it and get in or out of the auto rickshaw. A board displaying “SCHOOL CHILDREN” shall be exhibited in all auto rickshaws and share auto rickshaws during the trips carrying school children. Based on the Supreme Court’s directive, the Central Board of Secondary Education (CBSE) has issued a circular to all affiliated schools calling for strict vigilance in the commute of school children. In this regard, parents are expected to discuss the safety of their wards in the parent-teacher meetings. In a few cases, while parents blame schools for not providing buses, school authorities insist that parents themselves should arrange transportation. A CBSE school in Chrompet had asked parents to not use private vehicles for transporting children and to have children come to school only by walk or bicycles. However, after vociferous opposition from the parents, they relaxed the rules, said V Santhanam, an activist. Child rights activists emphasise a similar point. “Parents should take part in school-level safety committees, to keep tight vigil on the transportation mode. In many places, tourist buses and tempos are used to ferry children to schools. This only shows the callous attitude of the RTO and police officials,” said Andrew Sesuraj, a child rights activist. Why do parents allow their wards in over-crowded autos? The answer is ignorance. Four out of five parents whom Citizen Matters spoke to, were oblivious of the transport rules. There is no sense of worry among the parents, as they are not traumatised by horrific accidents like that of the six-year-old run over by her school bus. “We could never argue with the auto drivers as we were unaware of the rules. Even if we pay extra bucks to the auto drivers, they ferry more children out of our sight. Regulatory bodies and schools should step in to avoid untoward incidents,” said A Mamatha, a parent at Neelankarai. In May 2018, the Tamil Nadu government constituted a team comprising officials from transport, revenue and school education departments, and traffic police, to inspect over 600 vehicles for their fitness certificate, and for whether they have fire extinguishing equipment and emergency exits. Their report is awaited. In the meantime, schools are reopening or have already reopened for the new academic year, and thousands of children continue to be at risk, as they commute in overcrowded autos. 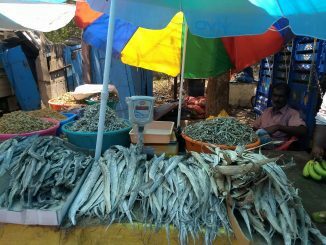 Dating back to the days when the Nawab of Arcot ruled in Tamil Nadu, the Pallavaram Friday market is as fascinating a place today as it was back then. A look at the long and eventful history of the market, from then to now. This yours-truly is residing in an area dominated by schools & colleges in the Southern part of Bengaluru. >>IT IS JUST PATHETIC TO OBSERVE NOT ONLY THE AUTOS BUT ALSO THE MINI-VANS (“Marti” Omni notably) are stuffed with boys & girls, as if like the cattle. Besides, the drivers are also speeding, as if in a race. ++THERE’S COLLOSSAL FAILURE ON THE PART OF THE POLICE DEPT., ESP. THE TRAFFIC POLICEMEN, TO TAKE STRICT ACTION AGAINST THESE ERRING DRIVERS AND THE VEHICLE-OWNERS !! Will the New HDK Govt look into this crucial aspect of PUBLIC SAFETY .. AT ONCE .. AS OTHERWISE THE ACCIDENTS ARE WAITING TO HAPPEN .. ANY TIME ?? Glad that Laasya brought the plight of school children through Citizen Matters online publication. I also feel that the cost of transportation through other means are very costly except if children go by public transport like bus or urban train which is of higher risk given the volume of passengers and the accessibility to children. Fuel Price and Vehicle Efficiency play a role in the cost of the transport. There is a need to subsidize the expenses met by parents for transportation within some limits.